Capture clips and screenshots of games on Xbox Live, Steam, and other services, then share them to Twitter for all your followers to enjoy. To start, press the Windows logo key+ G on your Windows 10 PC. This will open Game bar. While you’re playing a game, press the Windows logo key+ G to open Game bar. Capture game clips and screenshots from Game bar. Press the camera button to take a screenshot. The Record last 30 button turns the most recent few moments of gameplay into a game clip when background recording is turned on (you can change the duration in Windows Settings > Gaming > Captures). The Start recording button starts and stops a recording. While you’re recording, a timer shows the length of the clip. The Turn mic on/off while recording button allows you to mute and unmute your mic while you’re creating a capture. The Start broadcasting button starts a live broadcast on Mixer. Learn more at Broadcast your game with Mixer on Windows 10. Find your game clips and screenshots by opening Game bar and selecting Show all captures. Select Show all captures, then choose a capture. Enter a message in the box, then select Share. 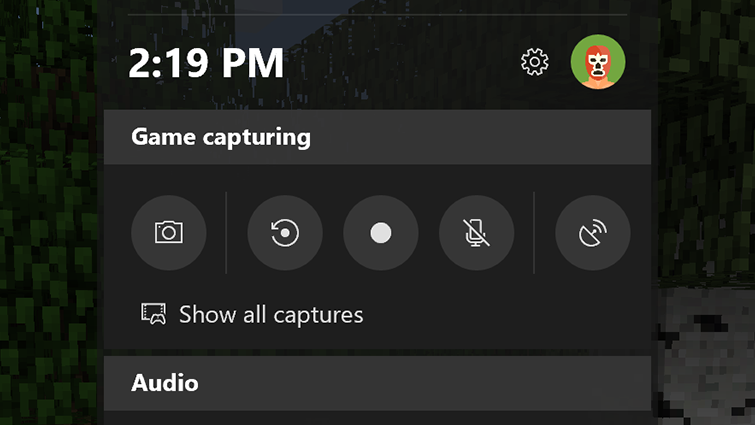 You can also view your captures in the Xbox app. Just open the app, then select Menu > Captures. 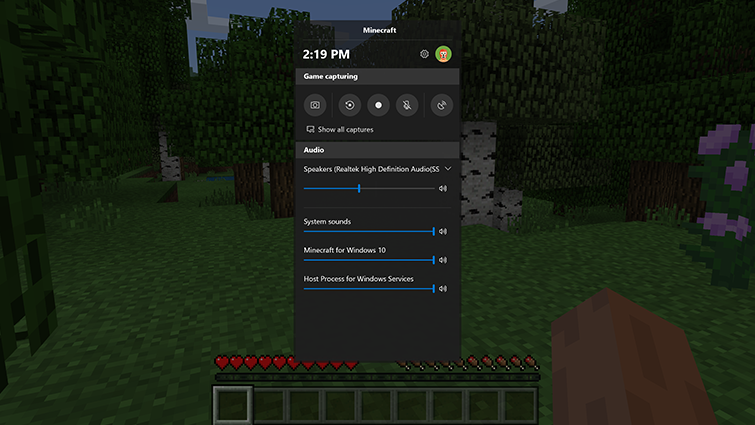 For more info, see Adjust capture settings on Windows 10. To capture game footage, make sure the Record in the background while I’m playing a game check box is selected in Game bar settings (or turn it on in Windows Settings > Gaming > Captures). For some PC games, Game bar won’t appear full screen. To start and stop recordings without Game bar, use the keyboard shortcut Windows logo key+ Alt + R. The screen will flash to indicate the start and end of recording. If background recording is on, Windows logo key+ Alt + G will record the last few moments of play. If the shortcuts don’t work for a full-screen game, press the Windows logo key+ G. The screen will flash twice to confirm that the game is recognized. Then, re-open the game full screen. Would you like to contact Support regarding the "Use Game bar to record game clips on Windows 10" issue you were reading about or a different issue?